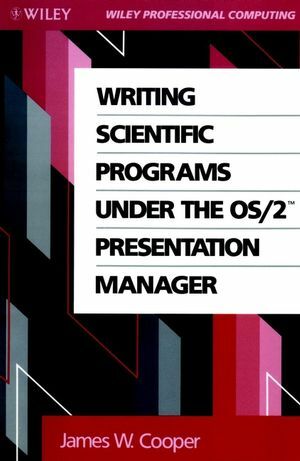 Provided here is a simple introduction to writing scientific programs using the OS/2 presentation manager. This book shows you how to write programs in the C language and is the first to illustrate how to plot data on hard copy devices such as dot matrix printers and pen plotters. Since the C language may be somewhat hard to read for some beginners, a chapter has been included which introduces the C language and includes simple definitions to make C more readable. Discussions comprehensively cover all important areas, including: how to display images such as those obtained from scanning microscopy techniques, frame grabbers, and image capture devices; how multiple thread of execution can be used within your program so that several tasks can run at the same time; the methods of communicating between these threads; how to acquire data from acquisition cards; an introduction to the Intel 80286 assembly language; and how to make calls to OS/2's serial device driver showing how to send and receive characters simply. In addition, all program examples are complete working programs which are fully discussed so that novices can easily understand their purpose. James W. Cooper is the author of Writing Scientific Programs Under the OS/2 Presentation Manager, published by Wiley. A Brief Introduction to the C Language. Writing a Simple Multithread Program. Adding Menu Commands to Your Program. The Keyboard in OS/2 PM. Using Dialog Boxes with the Presentation Manager. Using the Help System in OS/2 PM. Using the Graphics Presentation Interface. Using the Mouse in OS/2 Programs. Building a Dynamic Link Library. Printing Graphics and Text under OS/2. Using List Boxes to Get Filenames. Communicating between OS/2 Processes and Threads. Elements of Assembly Language Programming. Sending I/O Commands to Devices. Writing a Device Driver in C. Index.